Philip Meyer took a series of photographs showing residents of the Blue River Valley as they prepared to move from their homes and farms as part of the Tuttle Creek reservoir and dam relocation project. 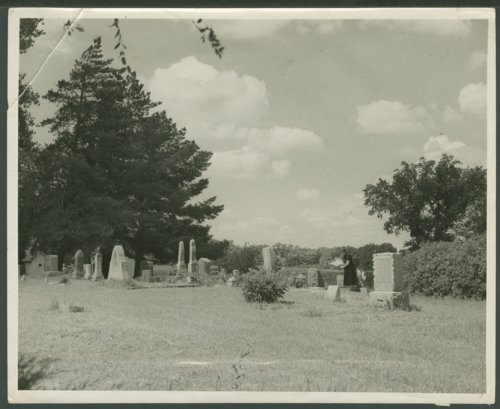 He captioned this photograph "after the service, Mrs. Willingham placed flowers on the graves of her parents in the small cemetery near the church. Army Engineers will move cemeteries to nearby hills, although communities which care for them will be dispersed".